Steam shower and home spa manufacturer ThermaSol has introduced two new innovations to its product offerings—the ThermaTouch Plus smart shower controller and a new digital shower valve. The new additions deliver what the company calls “return on wellness investment,” allowing homeowners to completely personalize their shower experience. When paired together, the ThermaTouch Plus control pad and digital valves allow homeowners to specify steam duration and water temperature settings on multiple water outlets. The 7-inch LCD touchscreen is fully waterproof and controls ThermaSol’s new digital shower and its Serenity Light, Sound Rain Head. 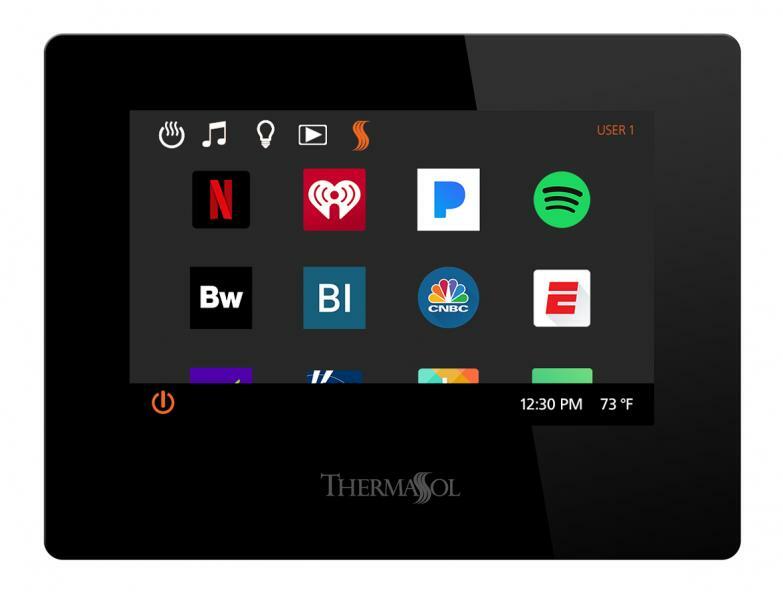 The ThermaTouch screen also acts as an app platform for the Android operating system, with 20 popular apps—such as Netflix, Spotify, and ESPN—that can be downloaded in the ThermaTouch App Store. The screen can also play nine soothing scenes and sounds from nature. The digital valve features ceramic disc valves and two stepper motors, which divide motor rotations into an equal number of steps, delivering more refined temperature maintenance and control, the company says. All ThermaSol products are manufactured in the U.S.